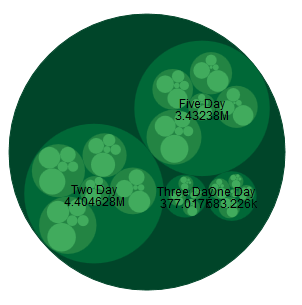 Circle Pack is a hierarchical visualization. 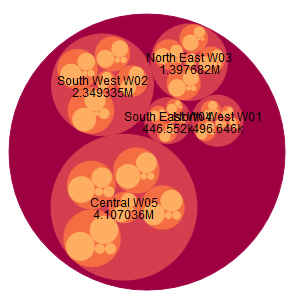 Now the smaller set of bubble represents the warehouse dimension. 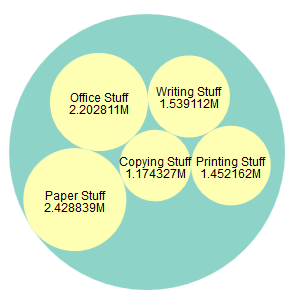 So on you can keep adding dimensions. 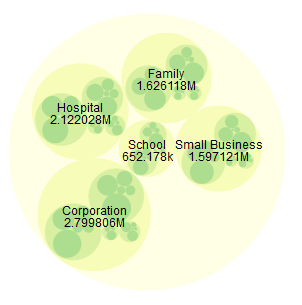 The visualization is very interactive and it packs a lot of data within it. 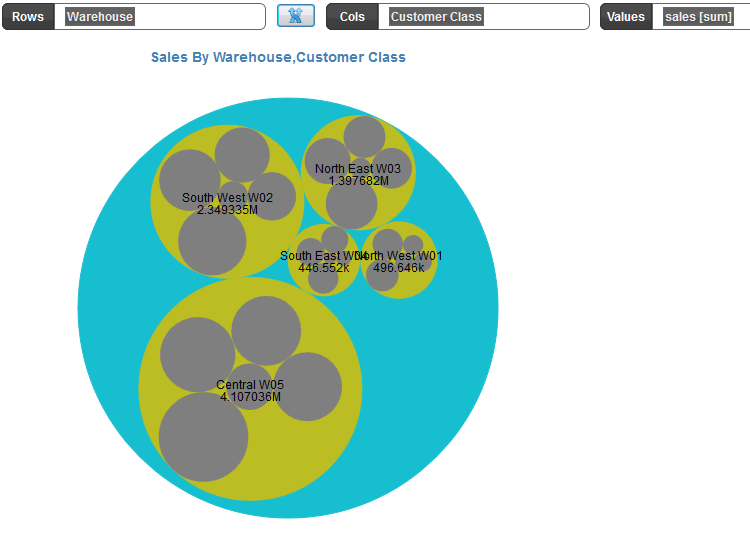 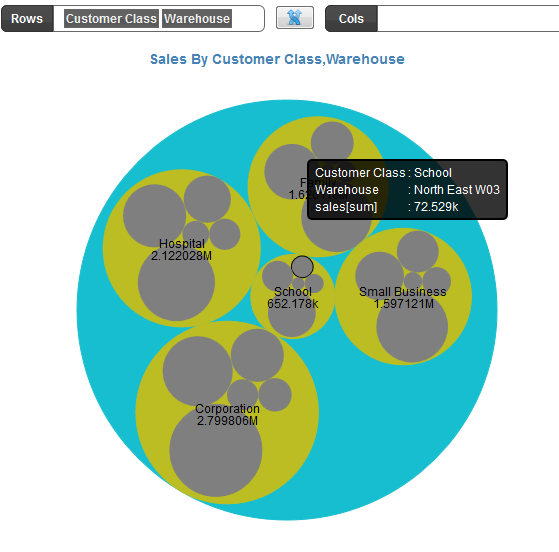 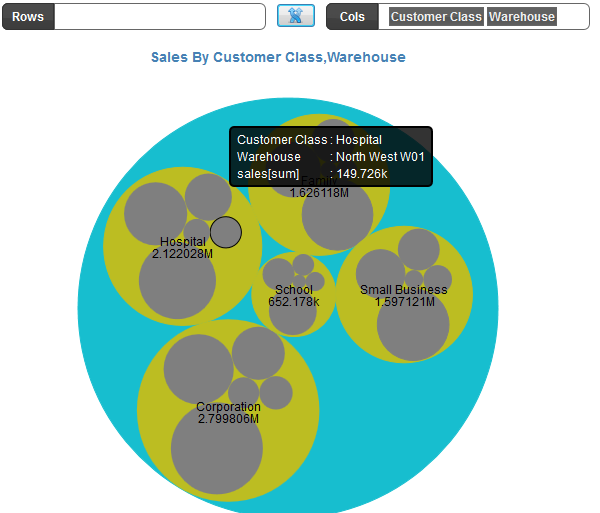 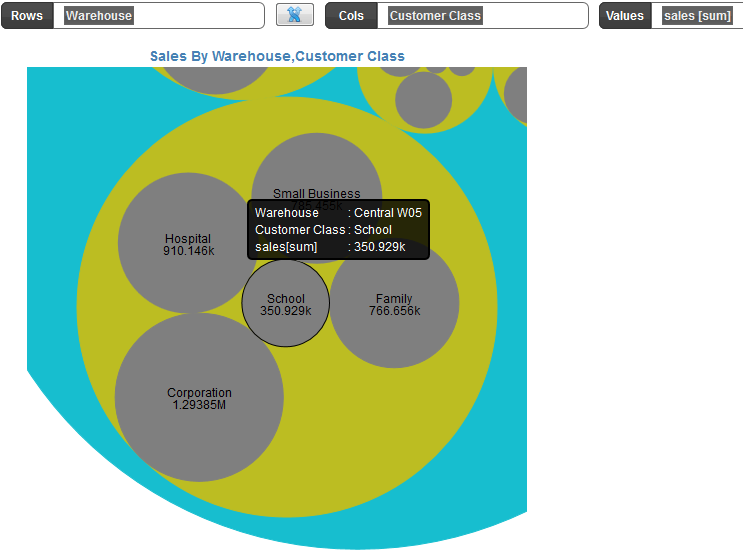 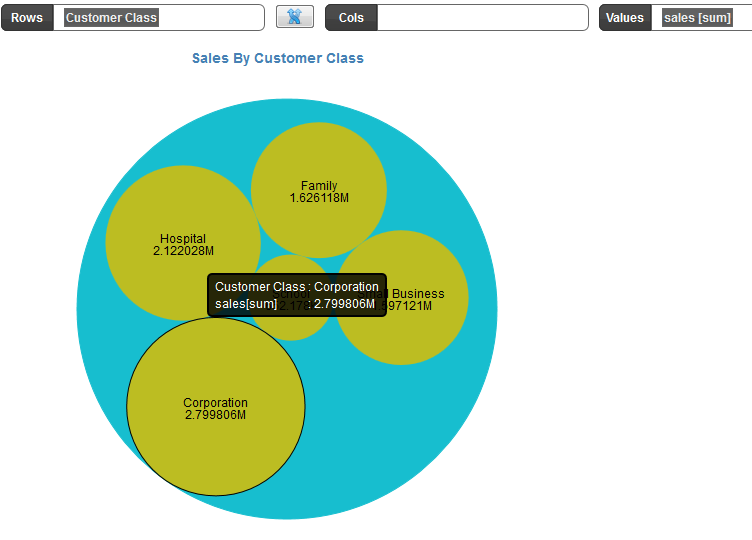 In the above figure we clicked on the bubble representing Central warehouse and it zoomed in and now displays the detail numbers for each customer class within the warehouse.